The National Rifle Association confirmed last week that it receives donations from foreign entities, but that none of the funds are connected to US elections. The NRA made the acknowledgement in a letter to Sen. Ron Wyden, who has been probing the group’s Russia ties since January, when it was reported that the FBI was investigating whether a prominent Russian used the NRA to funnel money into the 2016 US election. The NRA is currently in the crosshairs of Democratic investigators on the House and Senate intelligence committees over its links to several individuals allied with Russian President Vladimir Putin. The National Rifle Association said in a letter last week that it receives donations from foreign entities, but not in connection to US elections. In the letter, dated March 19, to Democratic Sen. Ron Wyden, NRA general counsel John Frazer wrote that the NRA maintains three types of accounts for contributions: those from which all, some, or no expenditures are reported to the Federal Election Commission. In response, Frazer wrote that the NRA accepts funds from foreign individuals, but that none of them are accepted in connection to the NRA Political Victory Fund (NRA-PVF), a political action committee which reports all its expenditures to the FEC. He added that the foreign funds the group does accept are not connected to US elections, and that the group’s political expenditures are made in compliance with federal law. The NRA has come under heightened scrutiny since January, particularly over its relationship with Alexander Torshin, a prominent Russian banker, politician, and close ally of Russian President Vladimir Putin. Torshin, whom the Spanish government has accused of money laundering and other financial crimes, is an avid gun-rights activist and a paid lifetime member of the NRA. In January, McClatchy reported that the FBI is investigating whether Torshin illegally funneled money to the NRA to help sway the 2016 US election in favour of then-candidate Donald Trump. Torshin’s longtime associate, Maria Butina, and the Republican strategist, Paul Erickson, are also of interest to investigators. Wyden first raised concerns about the report in a letter he sent to the NRA in February, asking the organisation for more information about what, if any, funding it has received from Russian entities. Wyden also asked the NRA about whether it has any policies in place to ensure it is not used as a conduit for foreign money to flow into US elections. The NRA responded shortly after Wyden sent the inquiry and highlighted the fact that the FBI is investigating Torshin, not the NRA. “As a longstanding policy to comply with federal election law, the NRA and its related entities do not accept funds from foreign persons or entities in connection with United States elections,” Frazer wrote. In response to Frazer’s most recent letter, Wyden said in a letter Tuesday that while he appreciated the NRA’s assertion that it complies with federal election laws as they relate to political expenditures, it was also “incumbent on lawmakers” to ascertain whether current election laws suffice in protecting the US political process from foreign influence. The NRA said recently that it spent a record $US55 million on the 2016 election, most of which came from a sector of the organisation that isn’t required to disclose its donors. 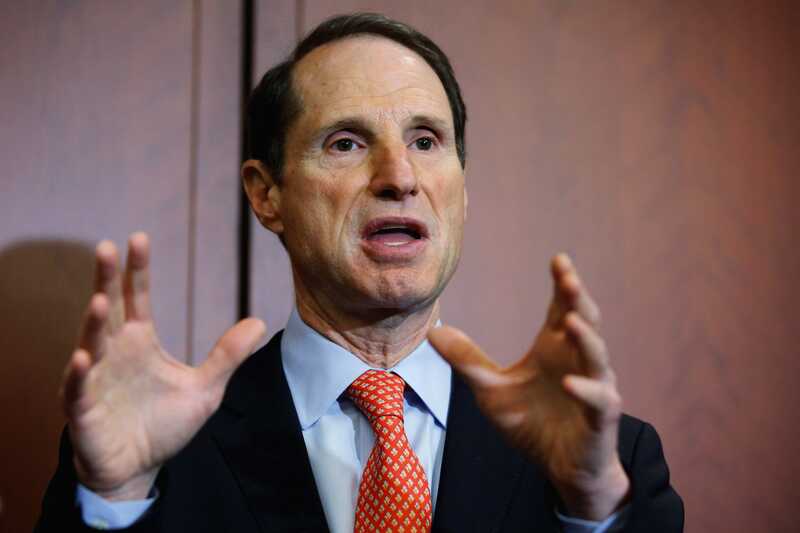 Wyden subsequently asked the NRA provide records of any expenditures it made on materials later distributed to the public, as well as whether any Russian nationals or other foreign individuals had ever been members of the NRA’s donor programs. He also asked the organisation to confirm it had never received funding from sanctioned individuals. Wyden isn’t the only lawmaker who has scrutinised the gun rights group over its Russia ties in recent weeks. Earlier this month, Democrats on the House Intelligence Committee said they were interested in interviewing Cleta Mitchell, a top lawyer at the NRA, who was reportedly concerned about its links to Russia. Republicans on the panel decided to conclude the committee’s Russia investigation earlier this month. In response, Democrats released a status report detailing the leads – including witness testimony, document requests, and subpoenas – they believe the committee still needs to investigate. McClatchy reported that investigators on the Senate Intelligence Committee are also interested in speaking with Mitchell. President Donald Trump has said neither he nor his campaign colluded with Moscow. The Trump administration also denied in 2017 that Trump had met Torshin, the Russian banker and longtime NRA member at the center of the controversy. But a number of tweets sent from Torshin’s Twitter account, which NPR reviewed in depth in February, appear to indicate otherwise. Torshin tweeted in November 2015 that he knew “D. Trump (through NRA). A decent person.” He later added that he saw Trump in Nashville, Tennessee in April 2015. The NRA held its annual convention in Nashville that year, during which Trump gave a speech teasing his impending presidential bid. “If I run, and people are going to be very surprised, and if I win, America will be great again,” Trump told the approving crowd, which included Torshin and Butina. Butina spearheads The Right to Bear Arms, the NRA’s Russian counterpart. Torshin attended the NRA’s convention every year between 2012 and 2016, occasionally with Butina at his side, and has met every NRA president since 2012. When the NRA sent a delegation to Moscow in the winter of 2015, it was Torshin who received them on behalf of The Right to Bear Arms. In February 2017, Torshin was also invited, through his NRA ties, to a national prayer breakfast with the newly-inaugurated President Trump. According to Yahoo News, Torshin was scheduled to meet Trump before the event, but his invitation was rescinded after a White House aide spotted his name on the guest list and alerted others to Torshin’s murky financial background. Meanwhile, Butina has been cultivating her own ties with American gun-rights activists, like the Republican strategist Paul Erickson, whom she has been acquainted with since at least 2013. Erickson invited scrutiny last year, when The New York Times reported that he emailed Trump campaign aide Rick Dearborn in May 2016, with the subject line “Kremlin Connection,” telling him that he could arrange a backdoor meeting between Trump and Putin. He added that Russia would try to make contact with the Trump campaign at the NRA’s annual convention that May in Louisville, Kentucky. Butina made a similar request through Rick Clay, a conservative Christian advocate. Dearborn forwarded Clay’s email to senior adviser Jared Kushner, who reportedly rebuffed the offer. Erickson wrote that Torshin would make contact with the campaign at a dinner honouring wounded veterans that was organised by Clay. Neither Trump nor his campaign advisers attended the reception. Donald Trump Jr. and Torshin did, however, attend a separate NRA dinner the same night. Six months later, Butina had a birthday party, four days after Trump won the US election in a shocking upset. The gathering featured several top Trump campaign advisers,according to The Daily Beast. Erickson, who was in attendance, told guests Butina was on the Trump transition team. Two months later, Butina was one of several Putin-allied Russians who attended Trump’s inaugural celebrations.